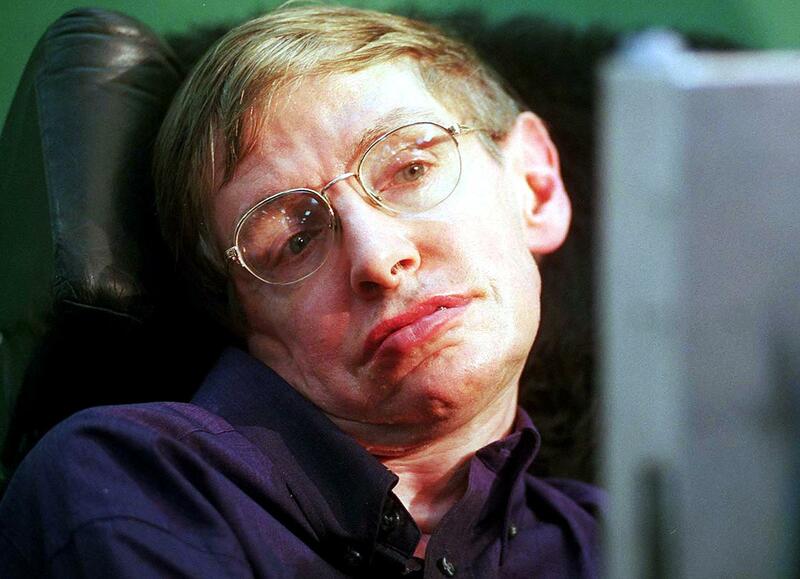 "My goal," Hawking said, "is a complete understanding of the universe." Stephen Hawking, the legendary physicist, cosmologist and world-famous author, died on Wednesday at the age of 76. Here's our 1988 cover story on Hawking, published around the time his best-selling book A Brief History of Time was originally published. This piece has never been published online before now. Like light from a collapsing star, exhausted by the struggle against gravity, the thoughts of Stephen Hawking reach us as if from a vast distance, a quantum at a time. Unable to speak, paralyzed by a progressive, incurable disease, the 46-year-old British physicist communicates with the world by a barely perceptible twitch of his fingers, generating one computer-synthesized word approximately every six seconds, consuming an entire day in composing a 10-page lecture. And the world awaits the words, for the same reason that astronomers search the heavens for the precious photons from remote galaxies, or that Newton spent his last years consumed by Biblical prophecy: Hawking is trying to read the mind of God.